Particularly during the middle part of the 20th Century entire lives were lived within the embrace of Westinghouse Brake & Signal Company. There were many clubs and societies to join and participate in, including the Westinghouse Orchestra and Westinghouse Male Voice Choir. Even today the choir, now called the Chippenham Male Voice Choir, continues with a loyal following of dedicated members. The choir was originally formed in 1940 by Westinghouse in Chippenham to entertain the workers during the War. At that time it was forty strong and the first conductor was Harry Keeshan. 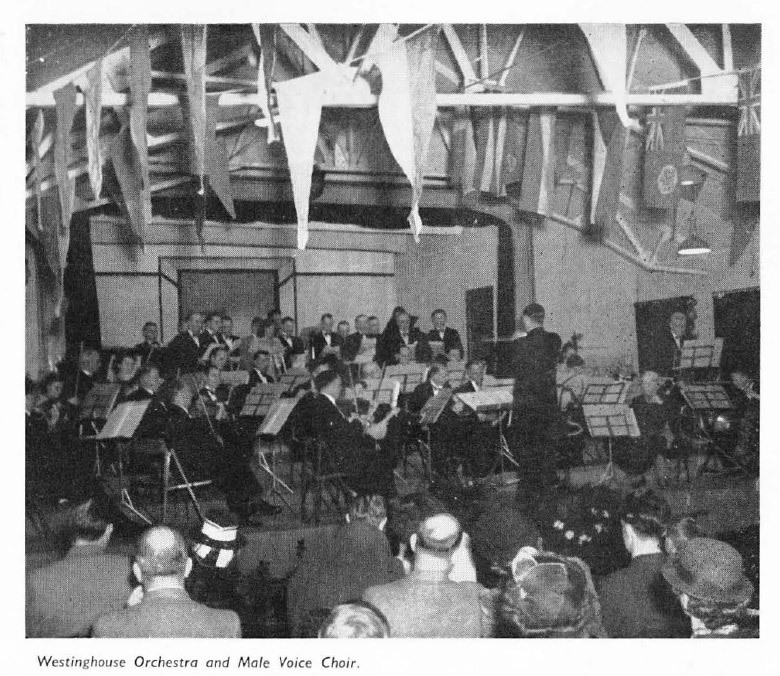 Many concerts were given in the Westinghouse Works (including live radio broadcasts in the lunchtime “Worker’s Playtime” series) and in the Chippenham area. The choir frequently performed with the Westinghouse Orchestra which was also formed in 1940. In the 1960s the choir changed its name to Westinghouse Men’s Chorus and conductor David Fidler introduced a wider selection of music, much arranged by himself. 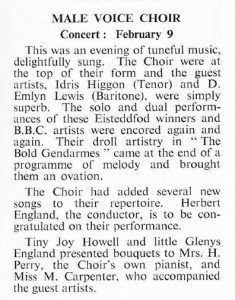 The choir, although smaller in size, won the Mallory Cup at the Mid-Somerset Festival in Bath on four occasions. 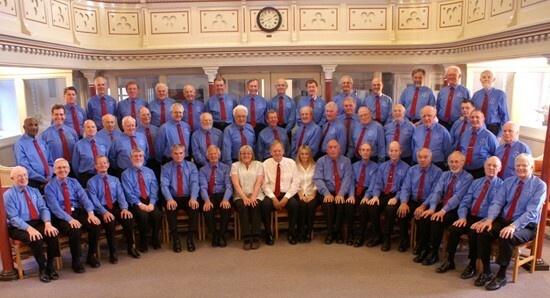 The choir later separated from the Westinghouse Company and changed its name to Chippenham Male Voice Choir to open its membership to singers from the local area. Now many of its members come from many of the local towns and villages. Bob Jones became conductor in the 1980’s and under his direction the choir has re-established its former size and now numbers around 50 members. The repertoire has further widened and Bob has arranged many pieces to suit the choir. Most concerts now include a solo or two by Will Barton and Francis Blackford, plus humorous monologues by Peter Field. For more information visit the choir’s website here. 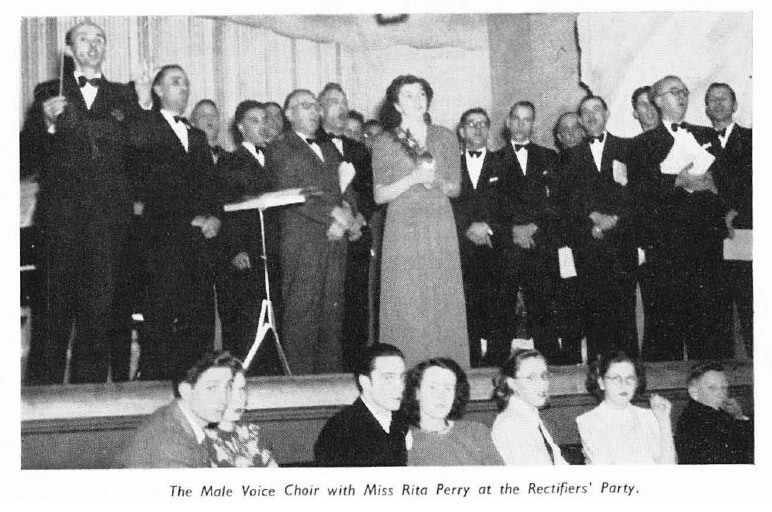 A few pictures and snippets from the ‘Westinghouse Review’ of 1949 illustrate the repertoire of the early choir – and summon up some of the atmosphere of the immediate post-war era.